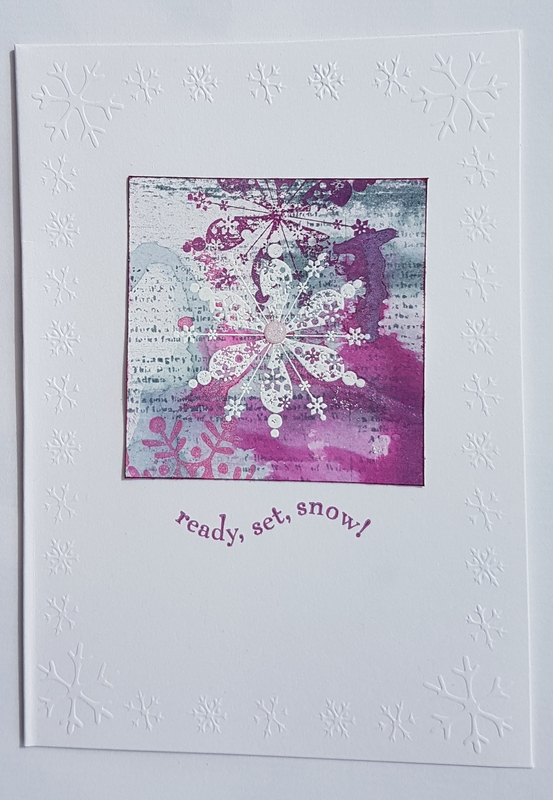 Another set of cards to share today… using the fabulous Wonderland stamps from SU and some old stash and the fab Distress oxide inks. 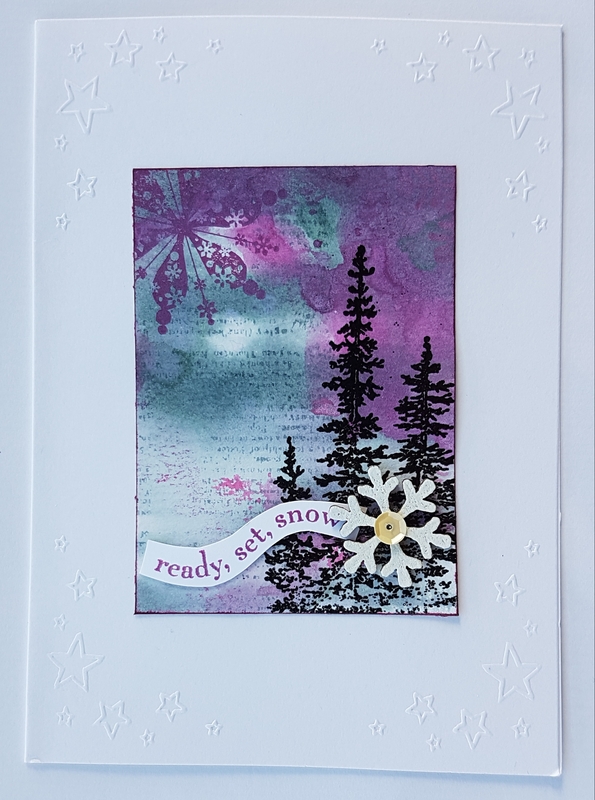 I created a masterboard and then cut out four ATCs to use as card toppers. 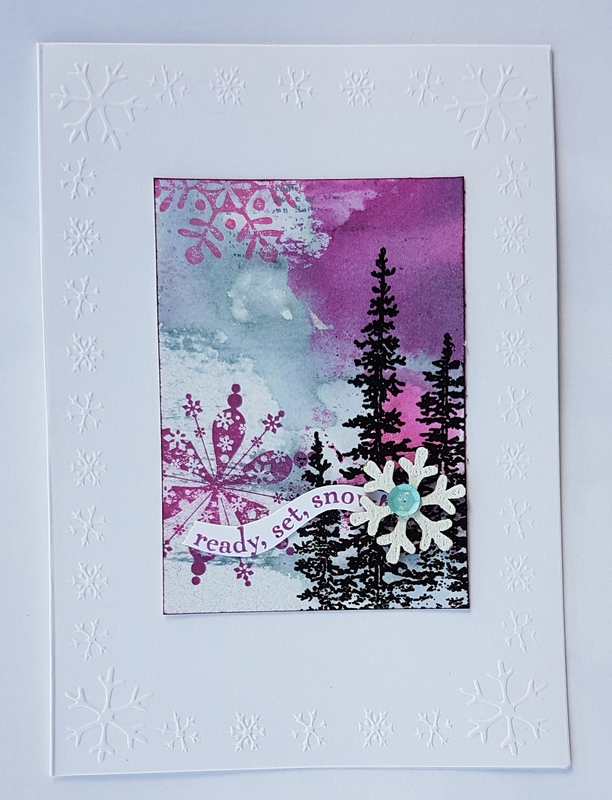 These then got the trees heat embossed on them and then the sentiments cut out and added with some wooden accents I had also heat embossed with white. 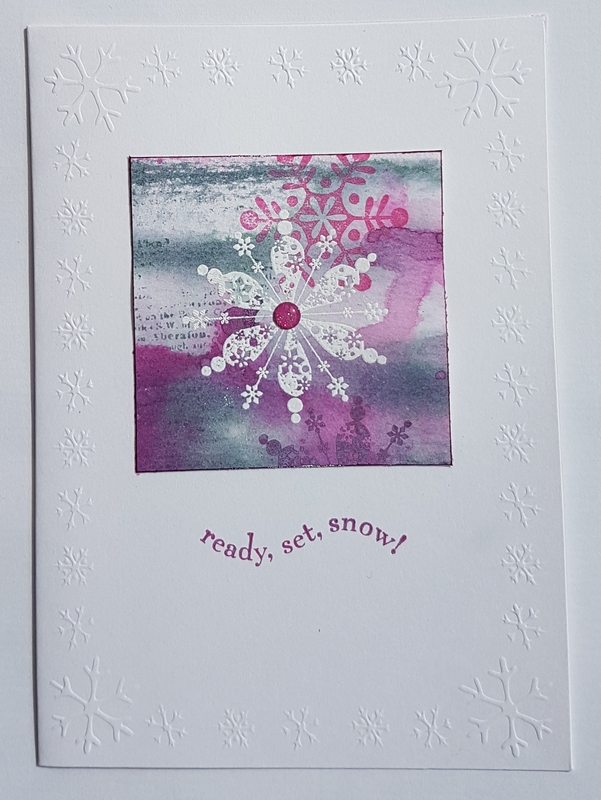 I finished them with a sequin centre for the snowflakes. 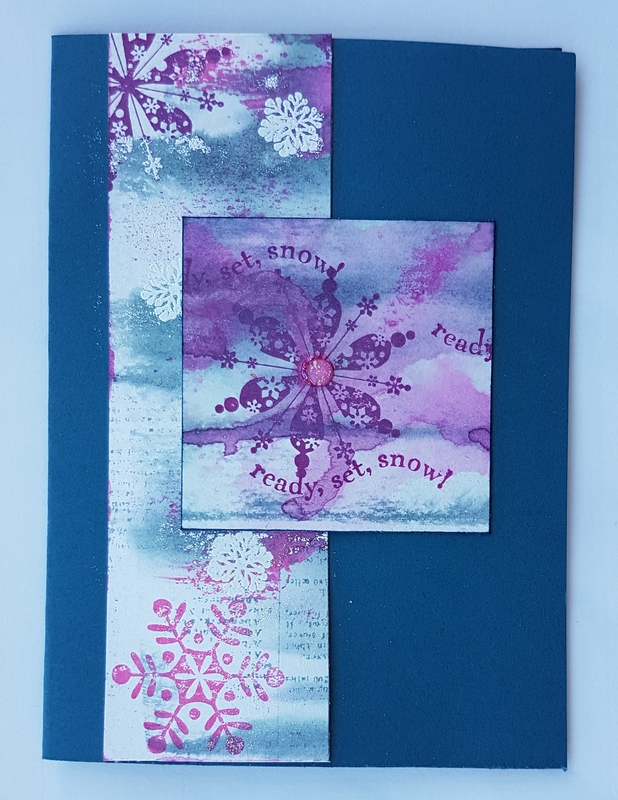 I stuck all four to some pre embossed card blanks. All in all a lovely set of cards all from one masterboard playing session! 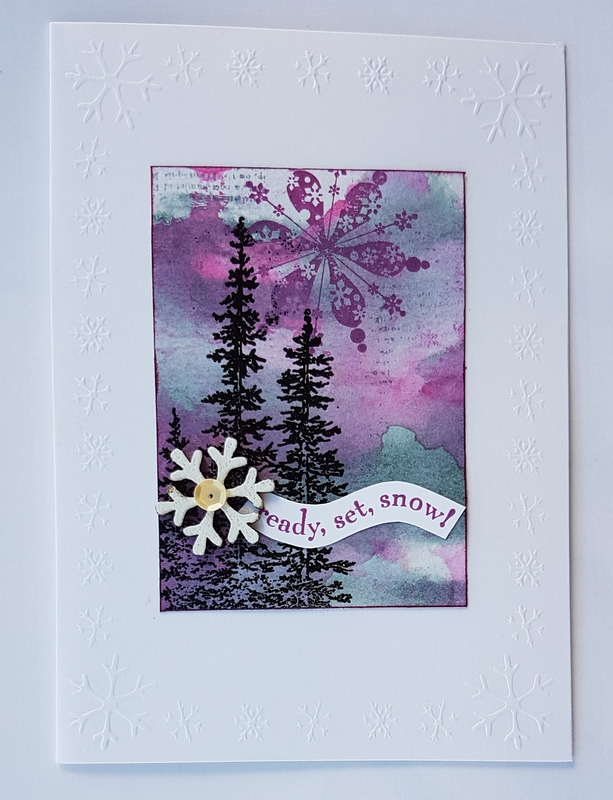 Christmas in August … Happy Christmas! Love these colours….. Well, I would wouldn’t I!!!! 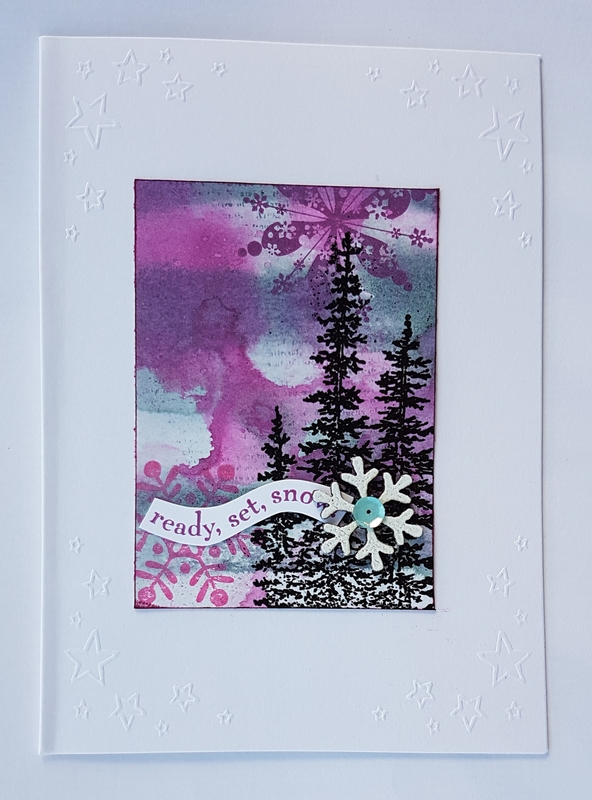 Another smashing set….may have to try this idea of atcs on embossed cards. I’m sure I inherited some somewhere….